San Antonio, Texas isn’t a place where people are easily bored. Between the Alamo, the Spurs, the Riverwalk, and countless restaurants, bars, and tourist attractions, we truly have it all. Oh, and it’s warm year round. This city situated in the heart of Texas is a great place to live. So great to live, in fact, that it ranked as the number one city for fastest population growth in the United States and gained over 24,000 new residents between 2016 and 2017. That’s pretty impressive. While those who have lived here for ages might be somewhat bitter about the traffic, we completely understand why people want to move here. 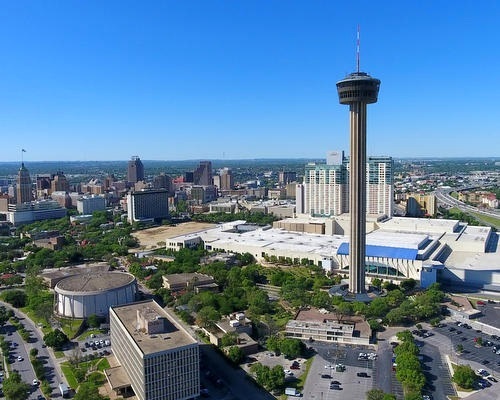 Something to keep in mind, though, is that if you own a home in San Antonio and want to sell, we recommend you take advantage of the population influx. Want to sell smartly and get the best bang for your buck? Find out the best time to sell in San Antonio and plan around those months. Here are some pointers. For those who need to sell their house as quickly as possible, plan to do so in the summer months. The best time to sell your house in San Antonio is in the summer. Homes sold in May, June, July, and August sell around five days faster than the yearly average. The winter months, on the other hand, aren’t so great if you want to sell quickly. Homes sold in the months of December, January, and February take up to nine days longer to sell compared to the yearly average. If you do plan on selling soon, list your home for sale as quickly as possible since homes tend to take around three months to close on after being listed. Selling a house for as much as possible is high on the list of priorities for almost anyone. Our advice for sellers who want to sell for more is to sell in the summer months, similar to if you want to sell quickly. The best month to close on a home sale is in May, when homes sell for about 3.85% more than the yearly average. May has just about come to an end, so selling then isn’t very feasible unless you’re able to wait a year. Can’t wait? Luckily, homes sold in August tend to sell for about 2.86% more than the yearly average. Start the listing process as soon as possible if you plan on selling then. Regardless of the time you sell your home, you should always be smart about the process. Research what remodeling projects provide high return on investments, study the market trends in your specific area and, of course, hire a skilled real estate agent. The River City Team in San Antonio and Misti Rios can help you both sell your home quickly and for the most money possible. Contact us today to find out what your home is worth and to get started on selling your home this summer.